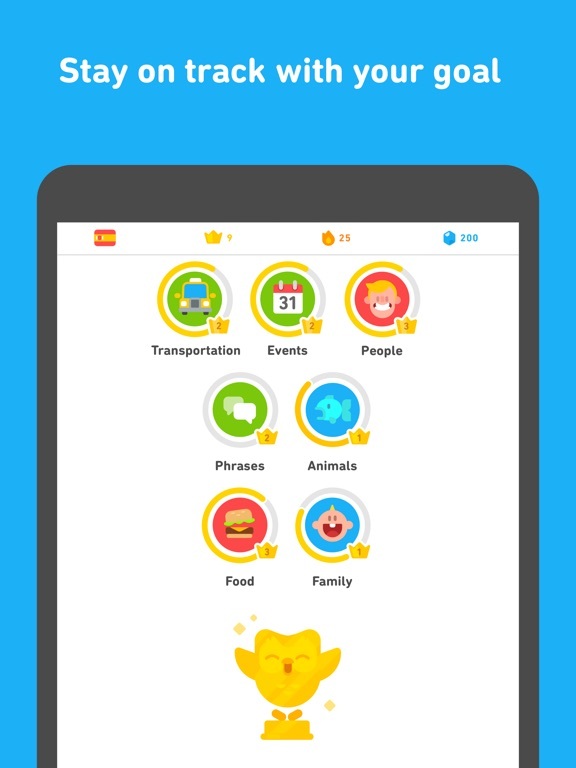 Duolingo is a high-quality app that will engage learners and keep them coming back for more. The developers included an array of activities, built in a rewards system, and challenge users in a gentle way at every turn. 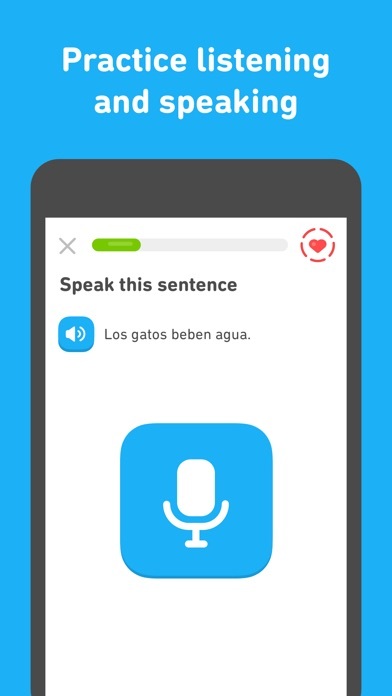 The narration is clear, and developers even included an option to slow the speaker so that single words are enunciated clearly to help beginners. The illustrations used to help students learn the meanings of words are high-quality and very clear. 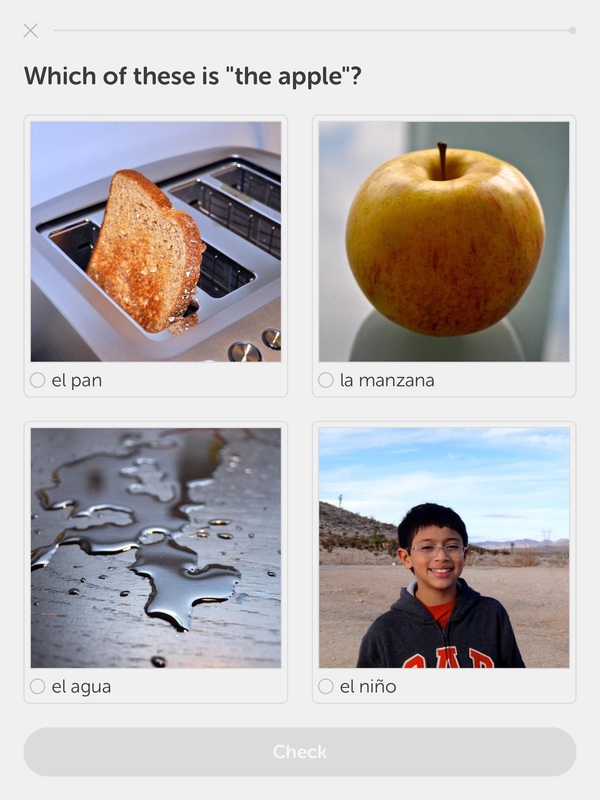 Each language includes dozens of separate lessons and a wealth of vocabulary words. 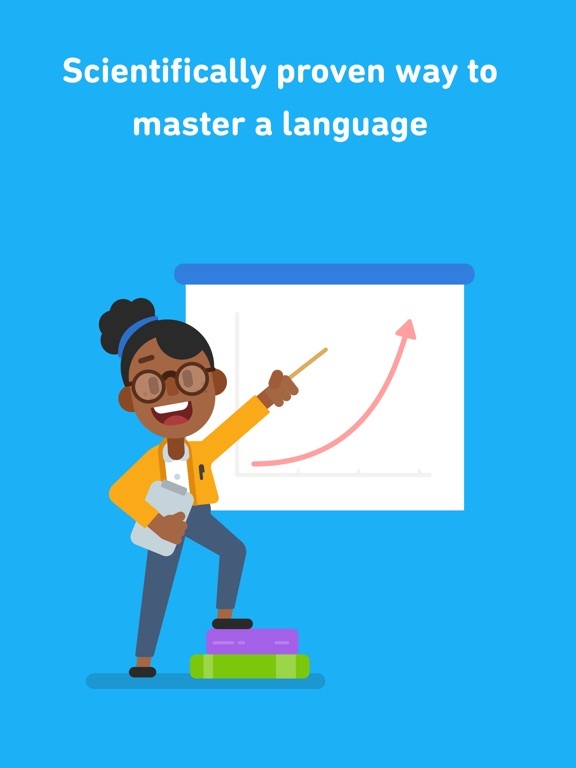 The makers of Duolingo demonstrate a good understanding of how students learn foreign languages. 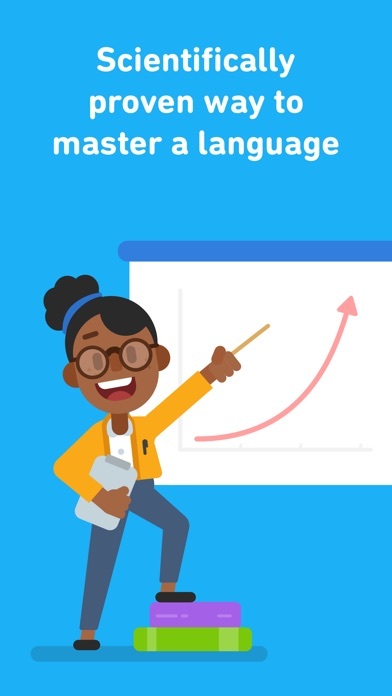 They have incorporated many styles of interaction that will help learners master not only vocabulary, but also grammar, inflection, and conjugation. 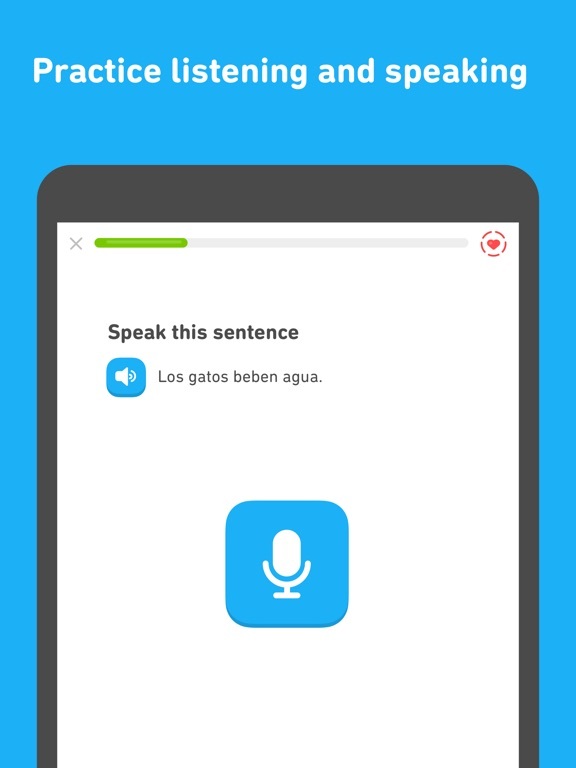 The app provides opportunity to translate between languages, to take dictation, and even to speak and have your efforts evaluated for accuracy. Where possible, words are introduced using pictures and a narration. The first words are presented in groups that allow sentence building, so learners are working with grammar and spelling right off the bat, rather than tedious vocabulary memorization. Duolingo’s lessons are short and sweet. The app prompts users to set goals for daily practice and will send optional reminder notifications. Choose to work at one of four paces (ranging from casual at five minutes daily to insane at twenty minutes daily), then gather up perks and rewards for consistency. 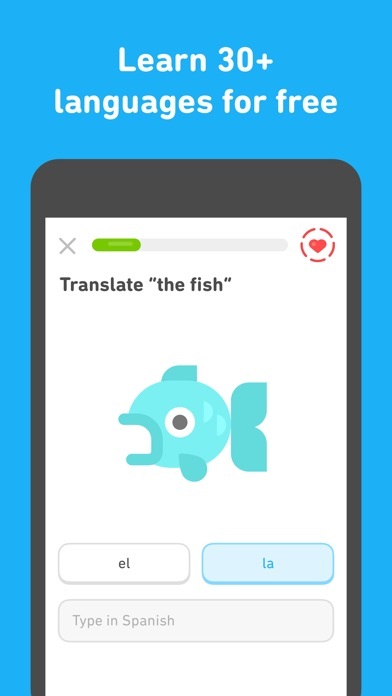 Activities include choosing words that have the given meaning, listening to phrases or sentences in the new language and typing a translation or typing what was said, matching vocabulary from English and the other language, and listening or seeing a sentence in English and typing or saying a translated version. 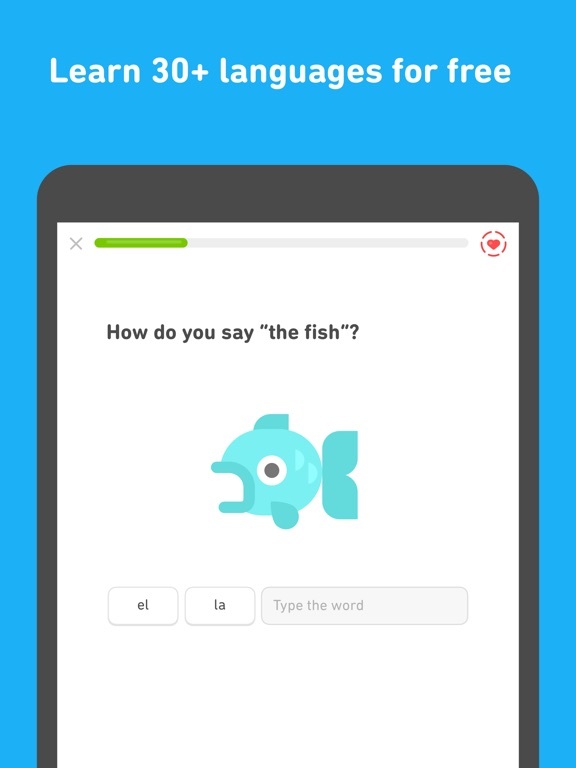 Developers of this app have taken a subject that could be dry and boring (learning endless vocabulary, spelling and grammar rules), and made it engaging and fun. 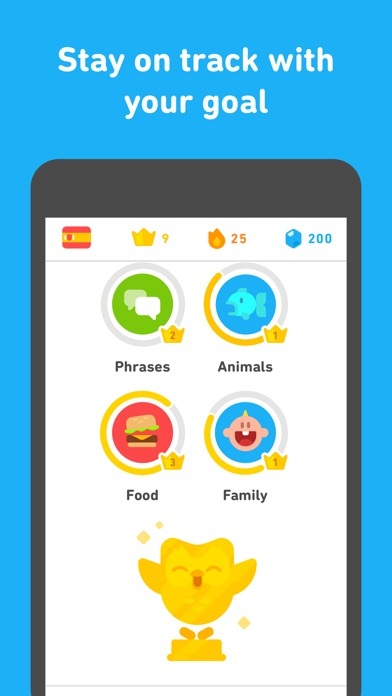 Duolingo pulls many strategies for motivation together to keep students interested. Setting goals is a great beginning, and sending notifications to the device to remind students to practice will help most people make time, as well. As lessons are completed, students gain experience points, try for personal best records, and earn “Lingots” that can be used to purchase perks from the app’s “store.” These include the capability to take a day off without affecting standings, change the clothing on the animated mascot, and even “gamble” a little bit on the ability to maintain consistent effort. The app also accesses the Game Center where players can compete with and challenge one another. 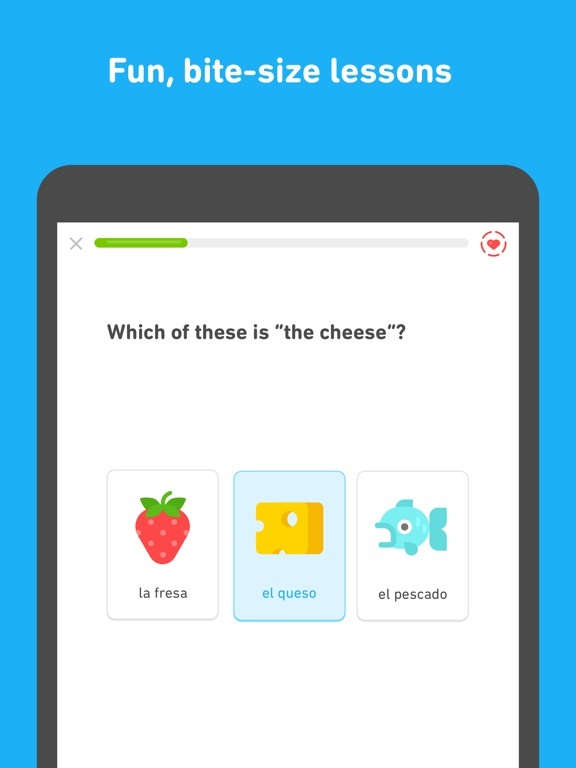 Duolingo is a free app, and an outstanding tool to learn the beginnings of a new language. 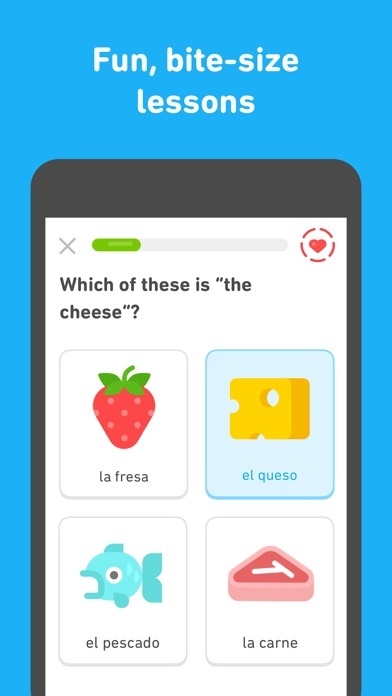 It offers thirteen different languages to explore and dozens and dozens of bite-sized lessons. The app will provide a great way to practice concepts learned in high school or college classes or lessons for recreational learning. It’s a great value for high school or adult students. Duolingo is best for users over the age of thirteen. The app contains unrestricted access to social media and the Game Center. There are links to the developers’ web site (where additional activities are located) and to email. The app registers students onto the website and requests an email address to register.